Transferring money from overseas to a New Zealand bank account. The trip of a lifetime is about to start! 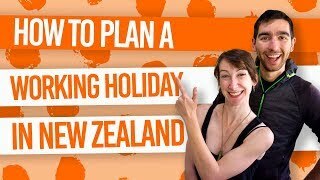 To get set up on a New Zealand working holiday or travel experience, whether it’s a month to a year, you’ll need some money. Without a doubt, setting up a New Zealand bank account is the cheapest and easiest way to pay for things while you are here. You can even start setting one up from overseas, which you can read more about here. Once you have a New Zealand bank account, the next step is to transfer money to your New Zealand bank account. How much money you transfer is up to you, but check out What is the Cost of a Working Holiday in New Zealand? to see what we recommend. A few options are available for transferring money to your New Zealand bank account. You can do it through your home bank in an online transfer (telegraphic transfer) or with an international bank draft. Alternatively, you can use a foreign exchange broker, like XE Money, to transfer money to your New Zealand bank account, avoiding the hefty bank fees. All options have their pros and cons, so take a look at the information below on how to transfer money to your New Zealand bank account, so you can make an informed decision. Some banks in the US require a US phone number (check with your bank). For more information, see What Details Do You Need to Transfer Money. Making an international telegraphic transfer is similar to transferring money online between bank accounts back at home. However, it requires different bank account information (see above) and there are significant fees involved from both your home bank and NZ bank. Because it is the most direct way of transferring money overseas, it is usually the most safest. However, you are not necessarily getting the best exchange rate. Fees charged by both your home bank and NZ bank are far more significant than other international money transferring options. For security, your first international payment from your home bank account may need to be made at a bank branch or made in writing – make sure to check with your bank before you leave home. After that, you may be able to do these payments easily online. Banks vary on how fast they provide this service. While some take 2-6 days, other can take up to two weeks. Some banks charge an extra fee for an express service. 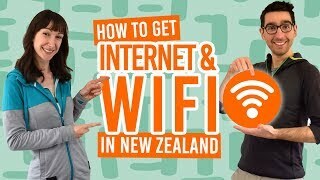 By the way, for tips on getting good internet in New Zealand, see How to get Internet and WiFi in New Zealand. Foreign exchange or Forex or FX is the market where currencies are traded. Because of this, foreign exchange brokers can usually offer competitive exchange rates. They also have fairly low fees (or sometimes no fee, as is the case with your first transfer with XE Money) to use their service, as well as sorting out payments quickly (within a week, usually). How does using a foreign exchange broker to transfer money to your New Zealand bank account work? Forex brokers usually work online. Once you set-up an online account with them, you make either a telegraphic transfer (online transfer) or online debit/credit payment into the Forex brokers’ bank account in your home country. Once the forex broker has your money, they will exchange it into their own New Zealand bank account, and finally, into your New Zealand bank account. This method allows you to avoid international bank transfer fees charged by banks. Give yourself a couple of days to open an account with a foreign exchange broker. For security reasons, you will need to send a copy of photographic ID (usually your passport or driver license), as well as proof of residential address to open an account. This should be reviewed within a couple of working days. If the company that you use happens to go bust while your money is in their hands, it is unlikely that you will get compensation. International bank drafts or international bank cheques are like personal cheques but written in your chosen currency. Just take this international bank draft to your chosen New Zealand bank branch and this will transfer the written amount to your account. Before obtaining your draft, make sure you look at the different fees involved from both your home bank and your NZ bank. Although not often seen as expensive as an online bank transfer between your home bank and NZ bank, there will still be costs involved. Make sure that your NZ bank account accepts international bank drafts. Look at the different ways you can apply for a bank draft. Some banks need the sender in person, or permission in writing, while others can be applied for online. Bank drafts can either be sent to an address or picked up at the bank by the sender. Bank drafts typically take a long time to process. If someone is sending you a bank draft to your New Zealand address, then this is additional time. The benefits of this is that a bank draft takes the money from your home account straight away, so your draft will not “bounce” from having insufficient funds. Additionally, bank drafts can only be deposited into a bank account, rather than being cashed, making them secure. That being said, because a bank draft is a physical item, losing it would be a major inconvenience. “Loaded” with money in multiple currencies, travel money card claim to be usable like a credit card anywhere in New Zealand. However, we have found that they are not accepted everywhere and credit card usage fee incurs on each use. Plus, the exchange rates are usually pretty poor. Many credit cards offer “no fees” when using them overseas. However, this comes at a much worse exchange rate than if you were to simply transfer your money. Credit cards also often incur extra fees (2-5% extra) on many transactions in New Zealand. Over a whole trip in New Zealand, this can really add up. For obvious safety reasons, we are not advising you to carry thousands of your home currency in cash with you when arriving in New Zealand. (But having some spare cash to last your first week in New Zealand, just as a safety, is advised). When arriving in New Zealand with your home currency, make sure to shop around to exchange your cash, as you will find huge difference from one money exchange place to another. Extra tip: Avoid exchanging your money in banks or at the airport as the rates are generally lower. For more tips about using money in New Zealand, see New Zealand Currency: The New Zealand Dollar.